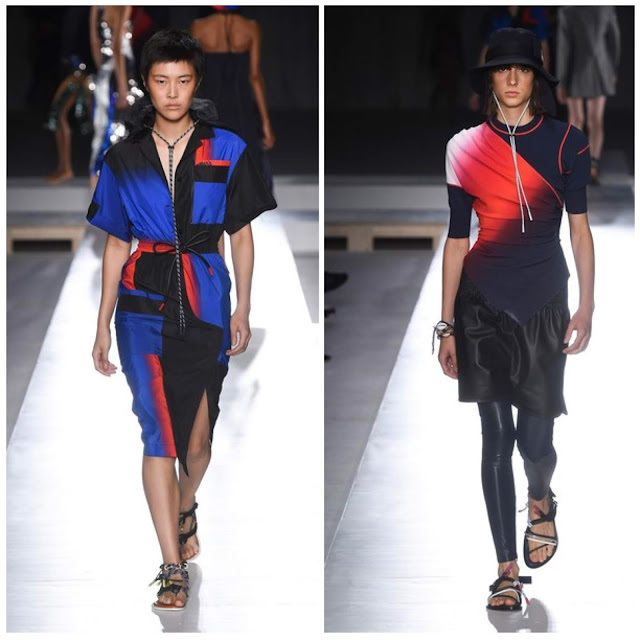 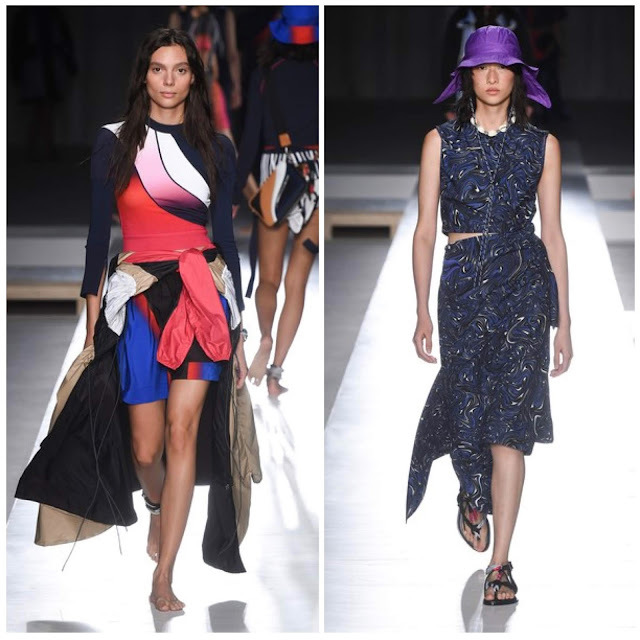 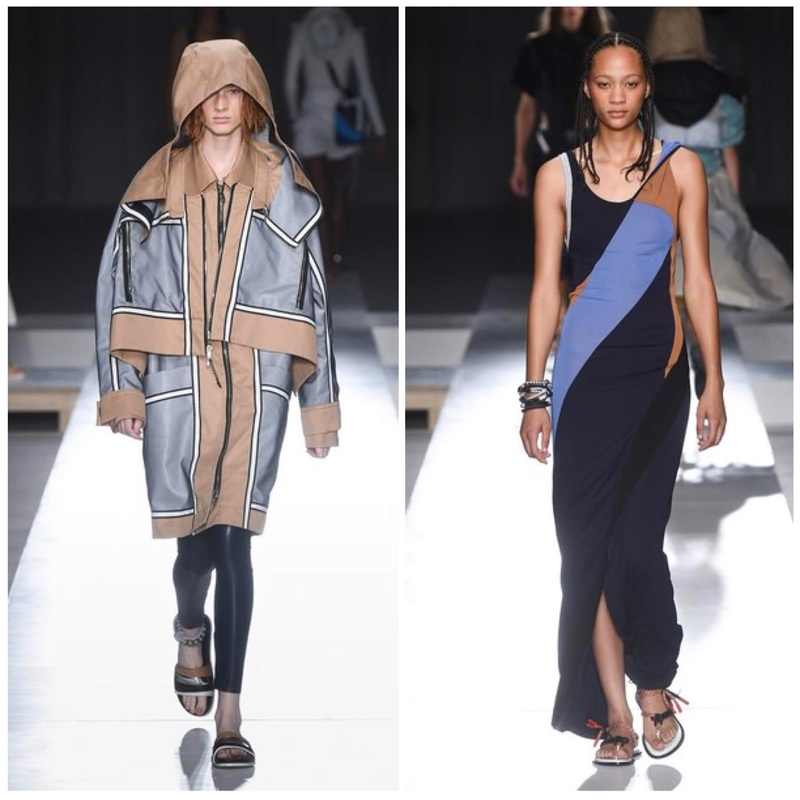 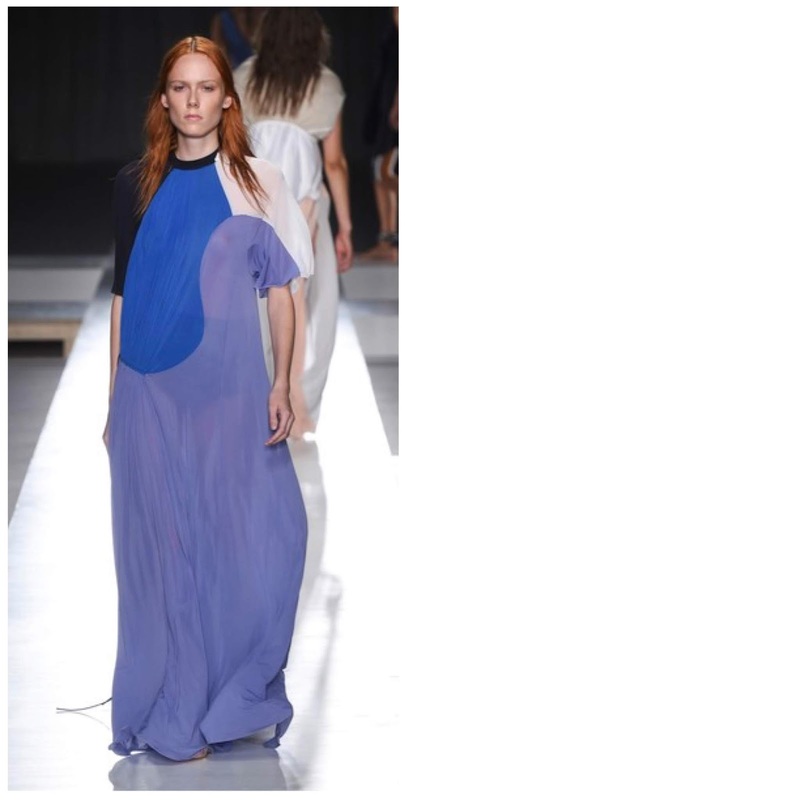 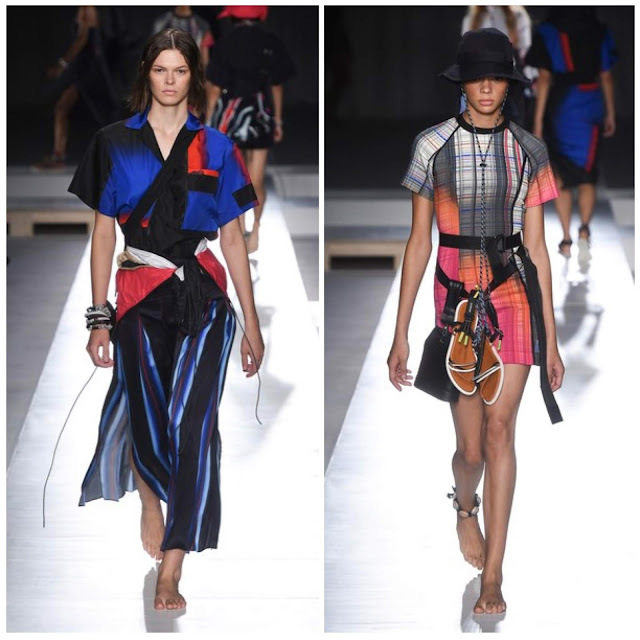 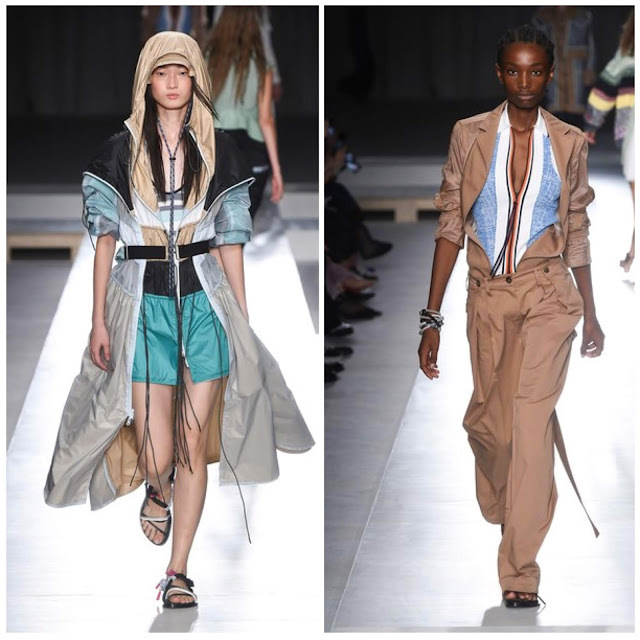 Sportmax, Max Mara's more youthful line, was in full effect. 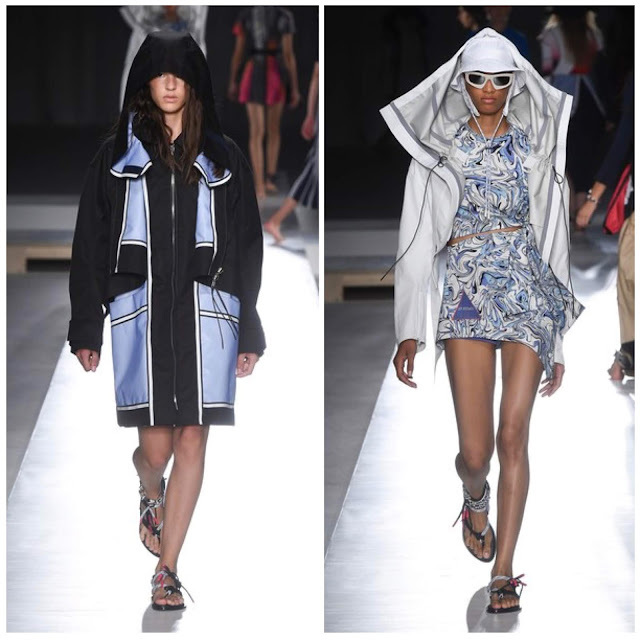 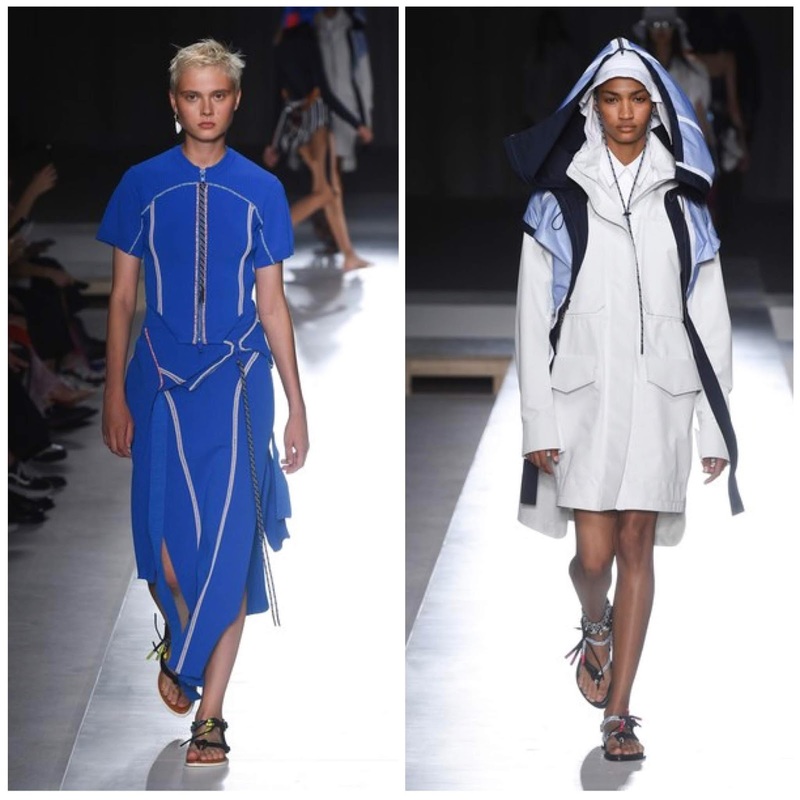 They showed tailoring mixed with sportswear, hoodies and performance sunglasses. 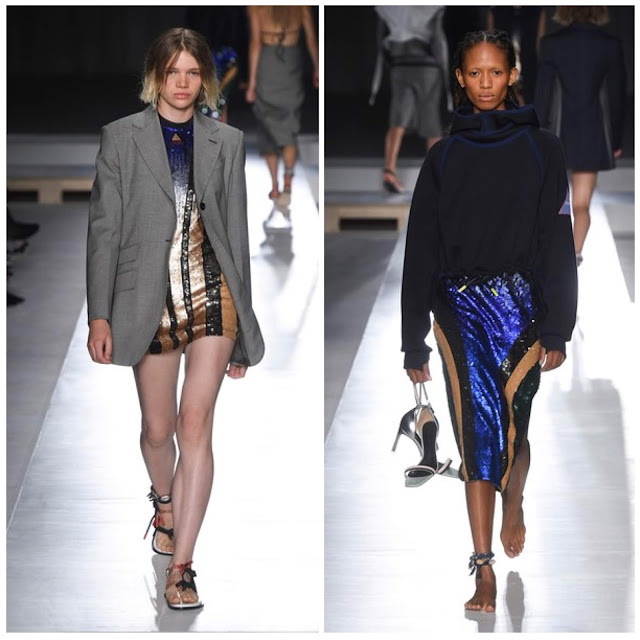 Grey suiting took the form of a dress made of a deconstructed jacket or a mis-buttoned skirt paired with a bikini top and the incongruousness of the combinations was a fresh take. 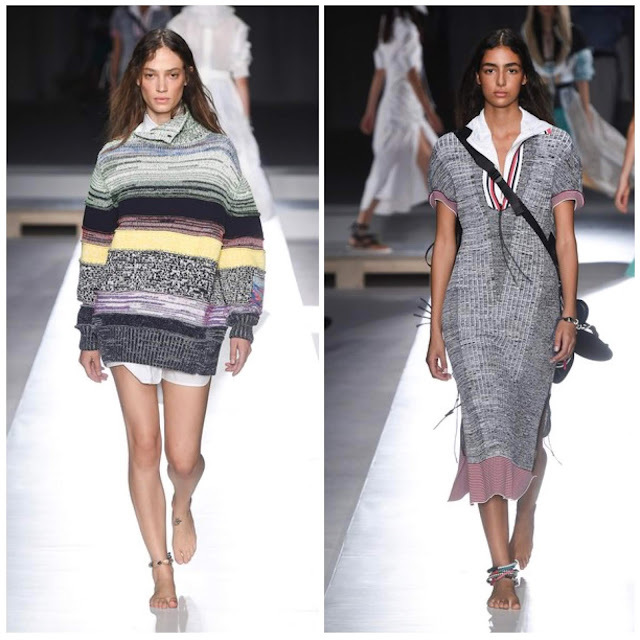 There was much shine in the form of sequinned dresses and bikinis and the rope trope showed up wrapped around ankles or on sandals. And forget about the lack of heels on the runway this the season. Sportmax went one step further (pun intended) by sending their models out barefoot.